Mackenna Swann has overcome many obstacles in her life, but none of them have slowed her down or stopped her from pursuing her passions. Originally from California, Swann now studies at Belmont and focuses on learning and growing as an artist. After being diagnosed, Swann went through three different surgeries. These surgeries had long periods of recovery, leaving her non-weight bearing for three years. But Swann did not let that slow her down. She focused on keeping her physical strength up for when she could walk again. Swann never thought she would be an artist when she got older, but soon she realized she had a passion for the visual and performing arts. At home in her wheelchair, Swann began to fall in love with music and art. Her teachers would come to her house and help her cultivate this new found passion. It was moments like these that led her to be an artist, and thus to Belmont. Possessing a strong passion for singing, songwriting and art, during her senior year of high school Swann began to look for a school that would allow her to explore and grow in these areas. Ultimately, she decided Belmont was the place to pursue her passions even more. 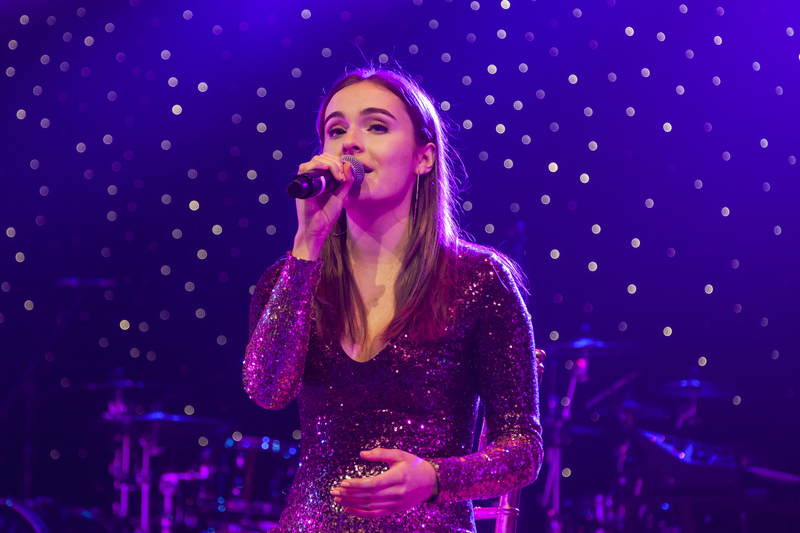 At the gala, which took place on February 2, Swann shared her story of her rare bone disease and performed along side Voices of Hope Children’s Choir from “America’s Got Talent.” The event ended up raising almost $4 million dollars for the hospital.